Proving that aliens are equal opportunity villains that can look beyond the US to make things difficult for humankind, here’s a gripping teaser trailer for the upcoming Mandarin-language sci-fi thriller Pathfinder. Directed and co-written by Zhang Xiaobei, who has earlier been a screenwriter for Nirvana (2016) and Lee’s Adventure (2011) among other films, Pathfinder is based on an online comic series of the same name. The film, with a cast that includes Song Yang (Wrath of Silence, The Final Master), Qi Xi (Mystery, Someone to Talk To) and Qu Jingjing (Birth of the Dragon, Journey Through China), tells the story of a group of Chinese pioneers whose spacecraft crashes on a remote planet. Stranded in a vast desert, members of the crew have to battle the elements, possible alien creatures and, above all, each other, to survive. 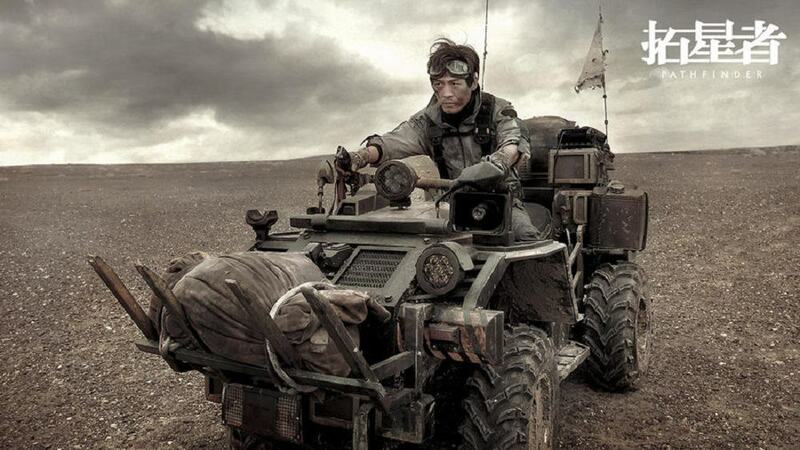 The trailer features some striking visuals, courtesy in part to the film’s shooting in the Xinjiang Uyghur Autonomous Region of China, and promises a riveting experience for sci-fi fans. This is, incidentally, just one of several science fiction films planned for release in the near future in China. After some sporadic ventures in the past, the country’s film industry finally seems to be fulfilling the expectations raised after Liu Cixin became the first Chinese writer to win the prestigious Hugo Award in 2015 for The Three Body Problem. A film adaptation of the novel is also up for release soon. Pathfinder is scheduled for release in 2018, and is produced by Tencent Pictures, which is betting big on the sci-fi genre.